The combination of AHA (Alpha Hydroxy Acid) and BHA (Beta Hydroxy Acid) gently exfoliates to help prevent dead skin cell build up. This helps to polish away dullness to reveal clear, bright skin. 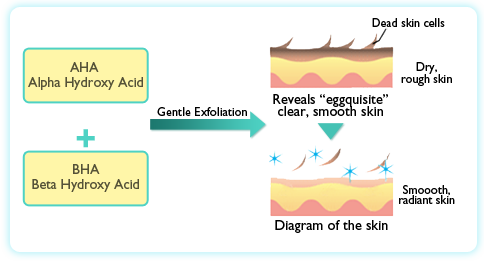 The skin's surface is renewed with a smoother texture.